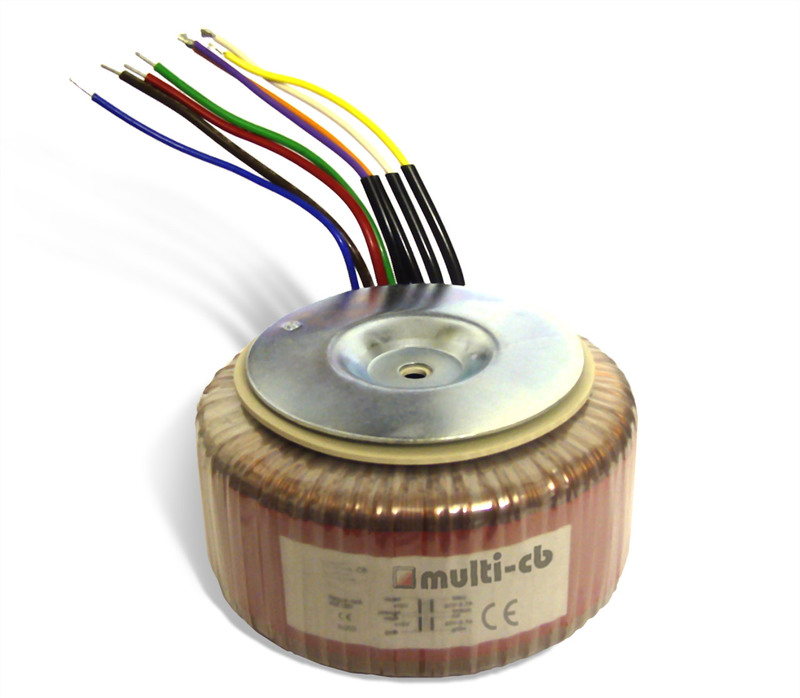 From Multi-CB, you can order toroidal transformers with any voltage or power rating (VA) with no surcharges, at normal production times. 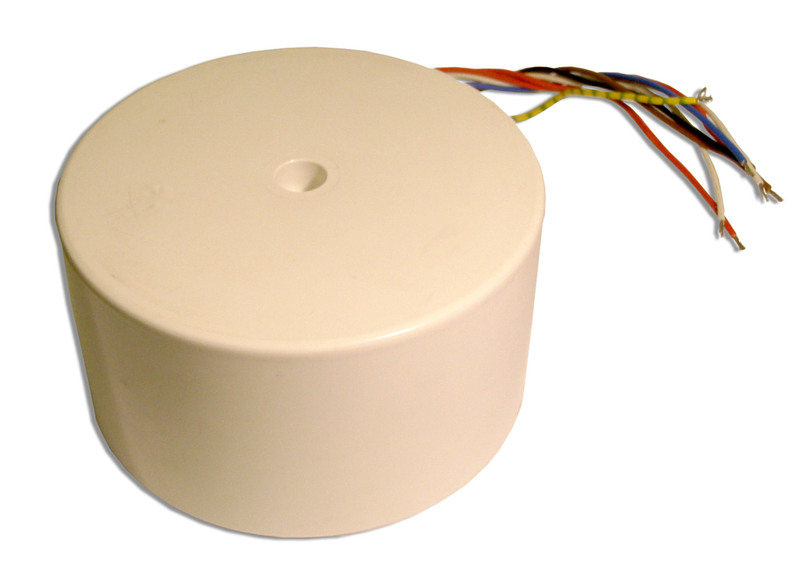 The finished products are manufactured exactly according to your requests and match your requirements precisely. 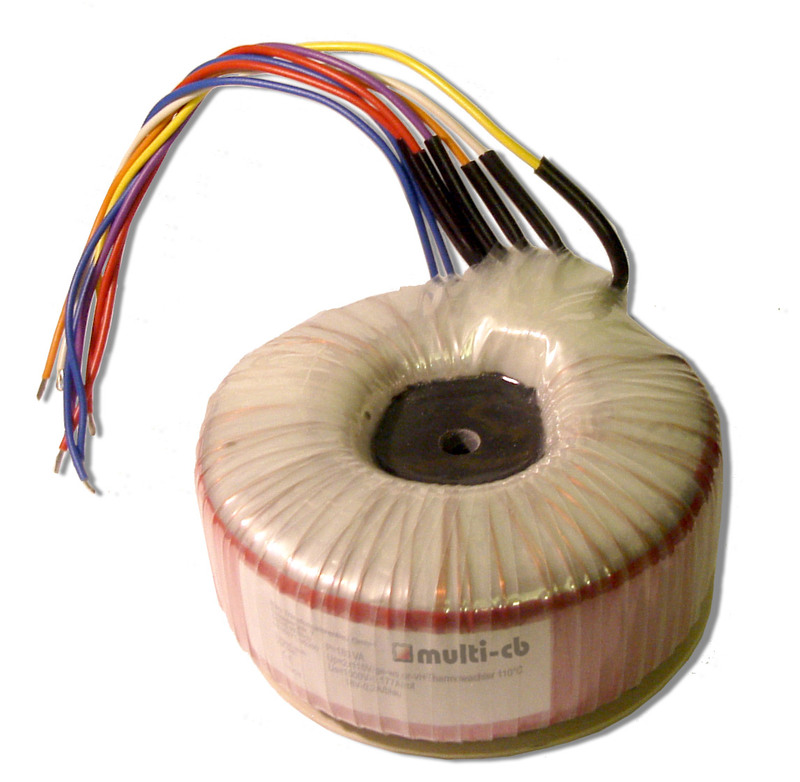 Our transformers are manufactured according to EN 61558 (previously VDE 0551 or EN 60742). You have the option of selecting between open style, bzw. centre potted oder fully encapsulated forms. The transformer cores are manufactured under a strict quality control program, exclusively using high quality steel with minimal loss characteristics (1.1 W/kg at 1.7 Tesla and 50 Hz). 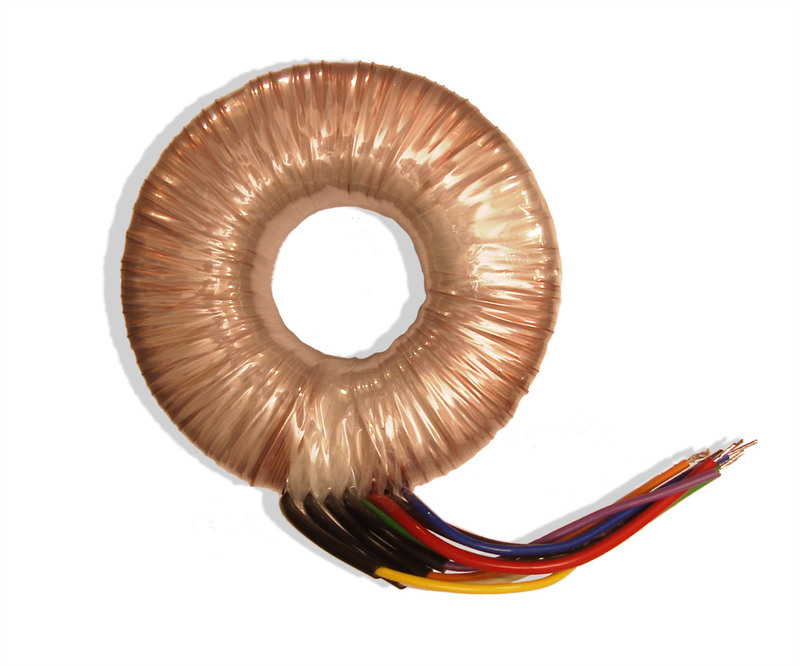 Click here for sample prices for toroidal transformers! The type label, which is attached to transformers made by Multi-CB, normally contain the connection diagram (in graphic or text form, depending on the available space), the CE Logo, and the notice „Produced according to EN61558“.